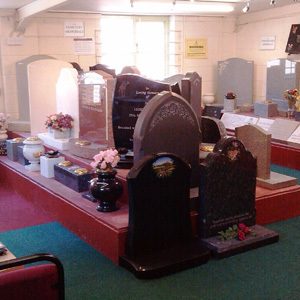 We have a large showroom with many memorials on display. 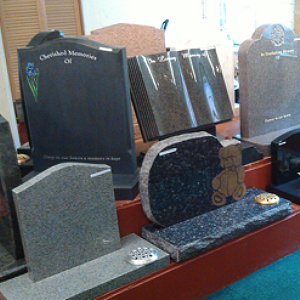 There are lots of examples of different types of stone and stone colours, letterings, engravings and much more. 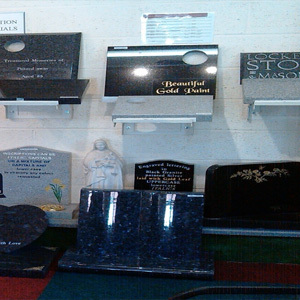 If you are thinking of getting a memorial for a loved one, we offer a professional, friendly service in a relaxed showroom environment where we are happy to answer any questions about memorials you may have. Find our address and a map on the Contact Us page.